HAVANA, Cuba, Aug 6 (acn) Cuban Foreign Minister Bruno Rodriguez and his counterpart of the Palestinian National Authority, Riad Malki, now on a visit to the island, held a work meeting on Friday at the Cuban Foreign Ministry. According to a note published on Saturday by the Granma newspaper, Rodriguez reiterated the unrestricted support of the Caribbean country for the fraternal Palestinian people, in its historic struggle for the inalienable right to self-determination and to achieve sovereignty as an independent State. This State would exist on the basis of the borders of 1967 and with Eastern Jerusalem as its capital, as the UN General Assembly should approve during its next period of sessions, adds the note. Riad Malki expressed that this visit is part of the actions carried out by its authorities to promote the acknowledgement of the Palestinian State by the UN member states during the 66th Period of Sessions of the General Assembly of that organization in September. 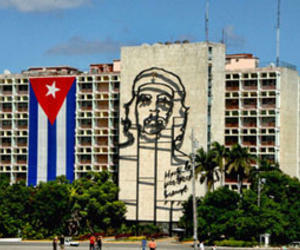 He thanked Cuba for its unconditional support throughout the long years of struggle of the Palestinian people. Accompanying the visitor were Akram Mohammad Rashid Samhan, ambassador of the Palestinian State to Cuba and other members of the delegation. Also representing Cuba at the meeting were Deputy Foreign Minister Marcos Rodriguez and other officials of the Foreign Ministry.